By Marion Florence Lansing. Illustrated by Charles Copeland. 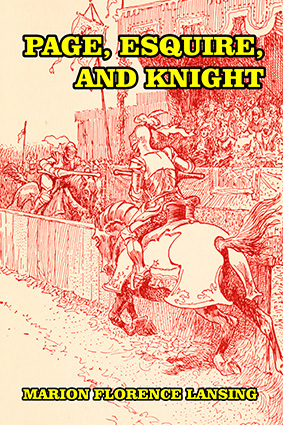 Fifteen exciting stories from the Medieval era of Knights, Courtly Love, and Chivalry, selected, arranged, and retold by Marion Florence Lansing. Beginning with the immortal story of King Arthur and the Knights of the Round Table, the book also covers Sir Gawain and the Green Knight, and Arthur’s passing, before moving on to the era of Charlemagne. Here, drawing upon real life events of such magnitude that they quickly passed into legend, the reader will find the stories of Roland and his death, Godfrey and the Crusades, the origin of the story of St. George and the Dragon, and Chevalier Bayard, among many others. Originally aimed at younger readers, the author inserted guide notes for teachers, suggesting themes for educating the young, and further reading suggestions at the end of the book. This work contains all the original text and its accompanying beautiful illustrations, and has been complete reset and digitally restored to better than original quality. “It sets forth in simple story form the development and progress of knighthood from the time of St. George, who won his spurs by killing the dragon, to the founding, a thousand years later, of the order which bore his name and embodied in its ritual the highest ceremonial of chivalry. 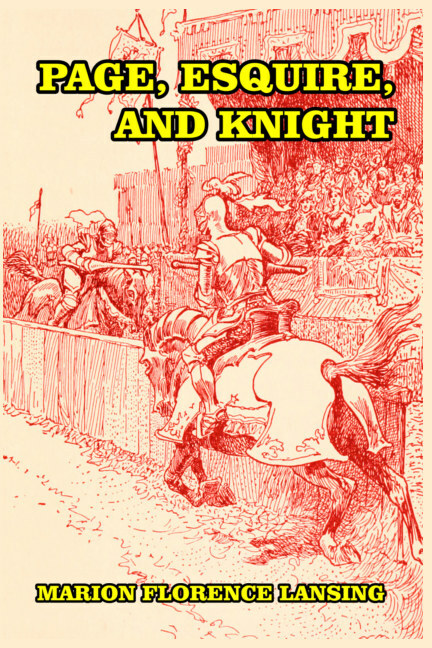 “With its explanation of the meaning of the degrees of knighthood, its description of quests and tourneys, and its outline of the great events of chivalry, this volume will serve as a good introduction to the later reading of the child in Arthurian and other romance, and in the history of Charlemagne’s wars and the crusades. “Chivalry ceased to be of practical value only when the conditions of civilization called for men of peace rather than war, and the perfect knight was replaced by the perfect gentleman.”—from the Preface. About the author: Marion Florence Lansing (1883–1966) obtained an MA from Radcliffe College (the female coordinate institution for the then all-male Harvard College) in 1905. She was a leading member of the Cambridge Historical Society for over 60 years, becoming an expert in European and South American history.